New York City, the "Big Apple", is home to the world's best stand-up comics. Big Apple Comedians connects these versatile entertainers with private audiences across the United States for creative learning workshops, one-of-a-kind comedy performances, and everything in between. Founder and director, comedian Jay Nog brings his intimate knowledge of the talent pool to a customized booking process and coordinates the perfect entertainment package for you. Let us design an experience tailored to your needs and desires, whether it's an age-appropriate stand-up show or workshop for a camp or school, holiday show, "roast", corporate event, fundraiser, or any occasion in any location. New York City, the "Big Apple", is home to the world's best stand-up comics. Big Apple Comedians connects these versatile entertainers with private audiences across the United States for creative learning workshops, one-of-a-kind comedy performances, and everything in between. Founder and director, comedian Jay Nog brings his intimate knowledge of the talent pool to a customized booking process and coordinates the perfect entertainment package for you. Need support in bringing a vision into reality? Let us design an experience tailored to your needs and desires, whether it's an age-appropriate stand-up show or workshop for a camp or school, family reunion, holiday show, "roast", corporate event, fundraiser, or any occasion in any location. Wow your group with one of our custom pro stand-up shows, featuring at least 3 NYC comics, with years of television and stage experience! Camp and school shows are followed by a meet-and-greet. Or, let your stars-of-the-future shine with our unique, interactive comedy workshops where kids will love trying the basics of comedy writing and performance. Our professional NYC entertainers will coach and assist them in creating a show they'll perform in the same evening as the culmination of the event! We offer an experience sculpted to your design or leave it to us, trusting in our extensive event planning credentials. No matter, laughter is a 100% guarantee. 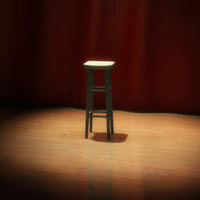 Contact Big Apple Comedians for a free consultation and make your next event a hilarious success.